Have you been charged with driving a vehicle while your license is suspended, canceled, or revoked? Many people are charged with this crime in Florida. Some people are shocked to learn they are being charged with this crime because they do not even know that their license was ever suspended, canceled, or revoked. Failing to have car insurance. There are two types of driving while license is suspended, canceled, or revoked: (1) driving without knowledge and (2) driving with knowledge. Driving without knowledge is considered a moving violation which means that there is no jail time. The more serious form is driving with knowledge which has the possibility of jail time. In Bolware v. State, 995 So.2d 268 (Fla. 2008), Bolware pleaded no contest to driving while his license was suspended, revoked or canceled and was then designated a habitual traffic offender. This designation caused his driver’s license to be revoked for 5 years. Mr. Bolware said his defense attorney “did not inform him at the time that his license would be revoked or suspended as a result of his plea and that, had he known, he would not have pled no contest.” Id. at 271. The case was appealed all the way to the Florida Supreme Court which held “that neither defense counsel nor the trial court was required to advise Bolware that his license could be revoked.” Id. at 276. (3) At the time defendant drove a motor vehicle upon a highway in this state, defendant knew that his license or driving privilege was suspended, revoked, or canceled. Motor Vehicle – Florida courts have held that all sorts of motor vehicles fall into this definition such as all-terrain vehicles, mopeds, and go-peds; however, skateboards, horse carriages, and bicycles are not covered under this statute. Upon a Highway - A highway has been generally understood by courts to be anyplace open to the public meaning you could be charged with this crime in a grocery store parking lot. See State v. Lopez, 633 So. 2d 1150, 1151 (Fla. 5th DCA 1994). Knowledge - The prosecutor can show a rebuttable presumption of knowledge by showing that you have (1) been previously convicted for driving under suspension, revocation, or cancelation without knowledge, (2) the defendant admitted knowledge, or (3) the defendant received notice. 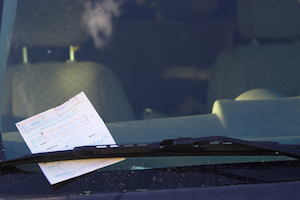 A defendant can receive notice many different ways such as in court documents he signed, a traffic citation saying a failure to pay will result in suspension, or certified mail to the address listed on his driver’s license. If the suspension, revocation, or cancellation was the fault of law enforcement or the DMV, that entry can be potentially suppressed along with any other illegal items that might have been found in the car of the defendant. See Shadler v. State, 761 So. 2d 279, 286 (Fla. 2000). While not a complete defense, a good defense attorney could negotiate for the lesser included offenses of driving with no valid driver’s license which is a second degree misdemeanor and does not count against you for purposes of the habitual traffic offender statute. The first conviction is a second-degree misdemeanor which is punishable up to 60 days in jail and a $500 fine. A second conviction is a first-degree misdemeanor which is punishable up to 365 days in jail and a $1,000 fine. A third conviction is a third-degree felony which is punishable up to 5 years in prison and a $5,000 fine. If the driver acts carelessly or negligently in the vehicle’s operation and another person is killed or seriously injured, it is a third-degree felony punishable up to 5 years in prison and a $5,000 fine. Our lawyers have dealt with many of these cases. Our lawyers focus on criminal matters and we know how to defend these cases. Call today to schedule a free consultation to discuss your case with us and any questions you might have.